Launch Alert! 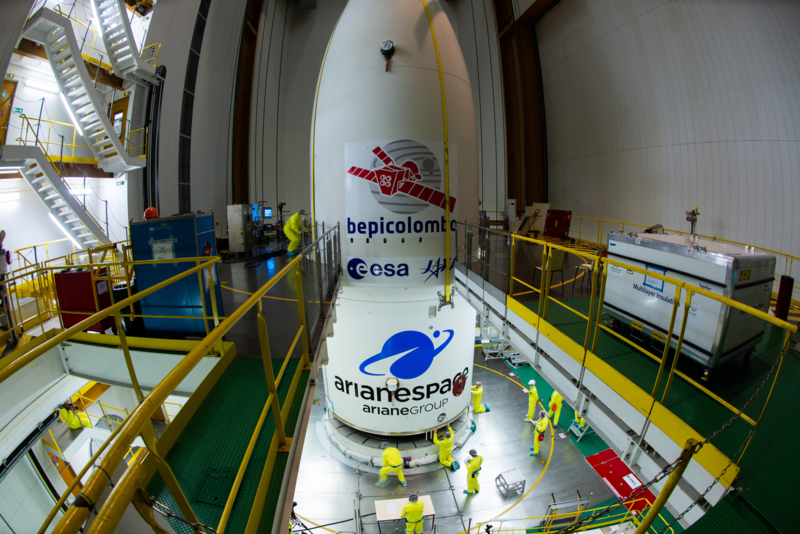 Saturday, October 20, 2018 at 01:45 UTC (21:45 EDT & 18:45 PDT on the 19th) Arianespace will launch their massive Ariane 5 ECA rocket, designated VA245 carrying the BepiColombo spacecrafts on a mission to Mercury for the European Space Agency (ESA) and the Japanese Aerospace Exploration Agency (JAXA) from Launch Site, Ensemble de Lancement Ariane-3 (ELA-3) at the Arianespace Spaceport in Kourou, French Guiana. 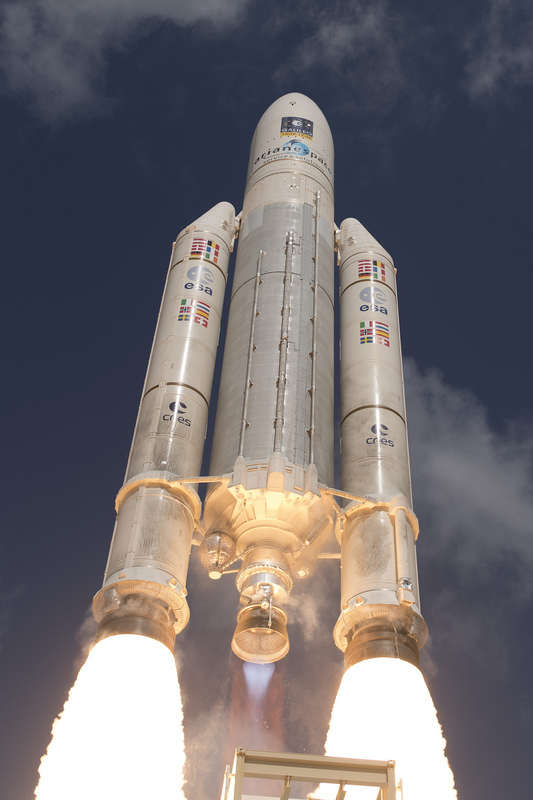 This will be Arianespace’s 7th launch of 2018, the 101st launch of the Ariane 5 and its 5th launch of 2018. 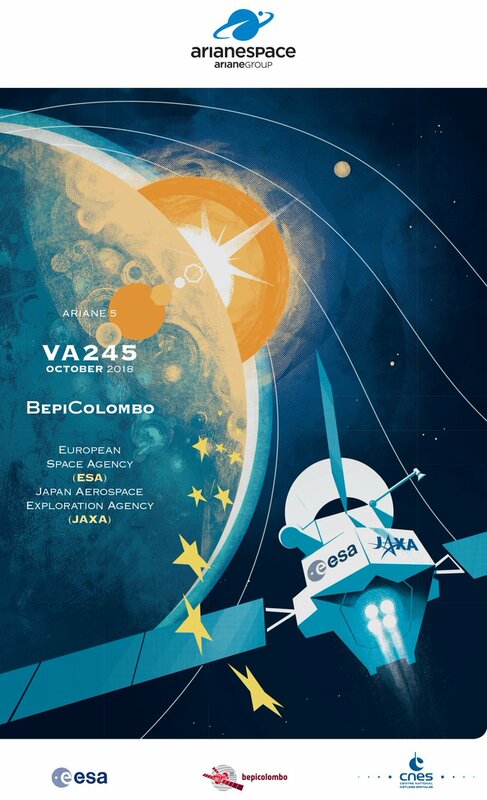 ESA/JAXA BepiColombo mission will be the 3r spacecraft to ever visit the speedy first planet, Mercury after the Mariner 10 flyby and long lived Messenger mission. 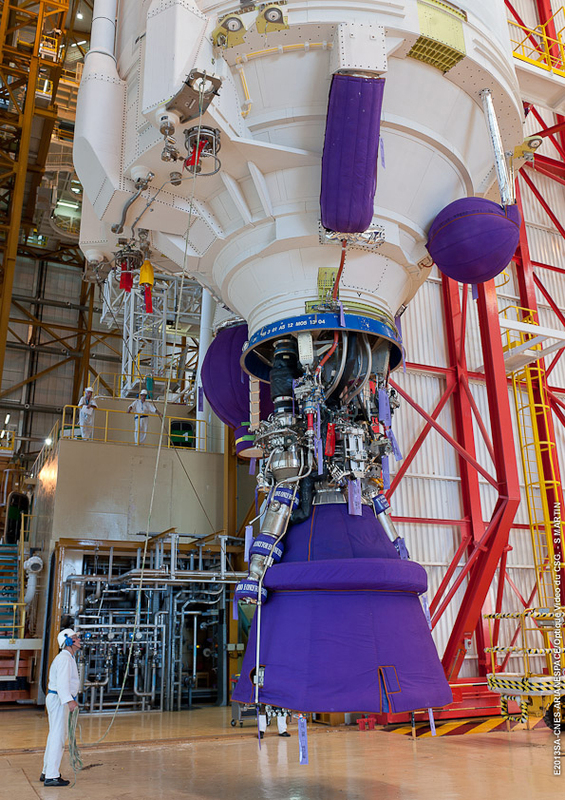 The two satellites; Mercury Planetary Orbiter (MPO) which will remain close to Mercury and Mio (Mercury Magnetospheric Orbiter, MMO) which will have a highly elliptical orbit will take seven years to reach Mercury. When they enter into orbit on December 5, 2025 where they will team up to conduct science in orbit until May 1 2027 (nominal) or 2028 (extended). 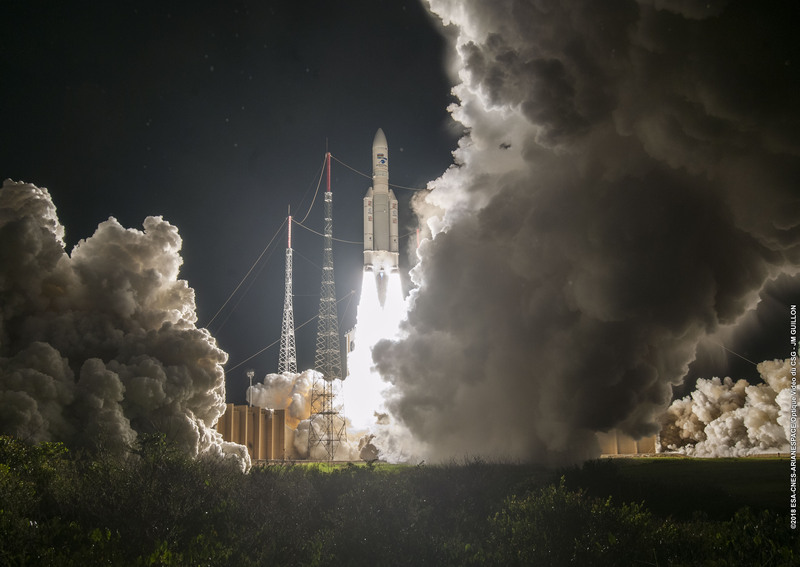 Image | This entry was posted in Images, Launches, News, Spaceflight Companies & Vehicles and tagged Ariane 5, Arianespace, BepiColombo, DanSpace77, ESA, European Space Agency, Japanese Aerospace Exploration Agency, JAXA, Mercury, VA 245, VA245. Bookmark the permalink.